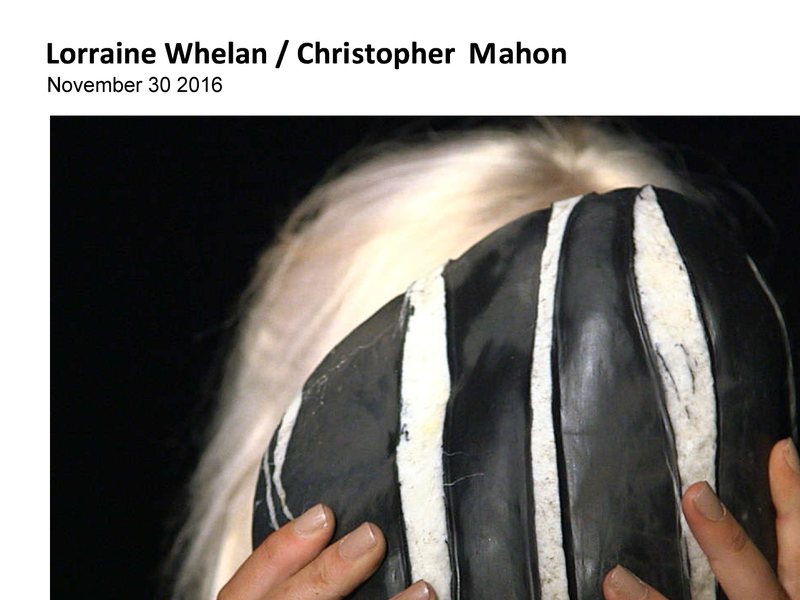 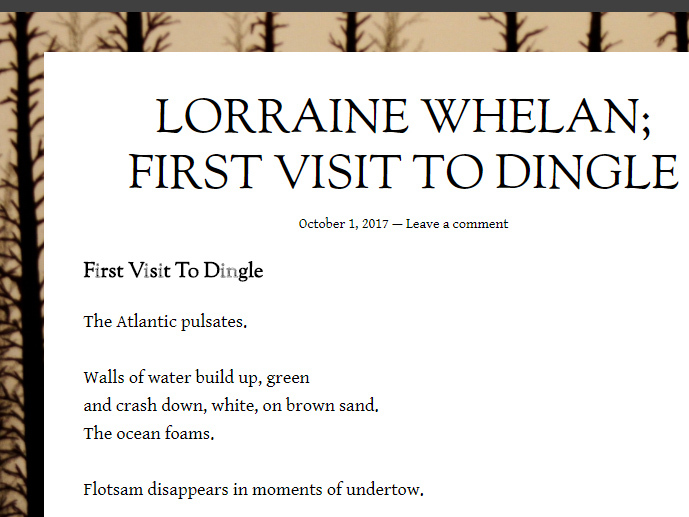 Lorraine Whelan writes poetry, fiction, art criticism & commentary and memoir. 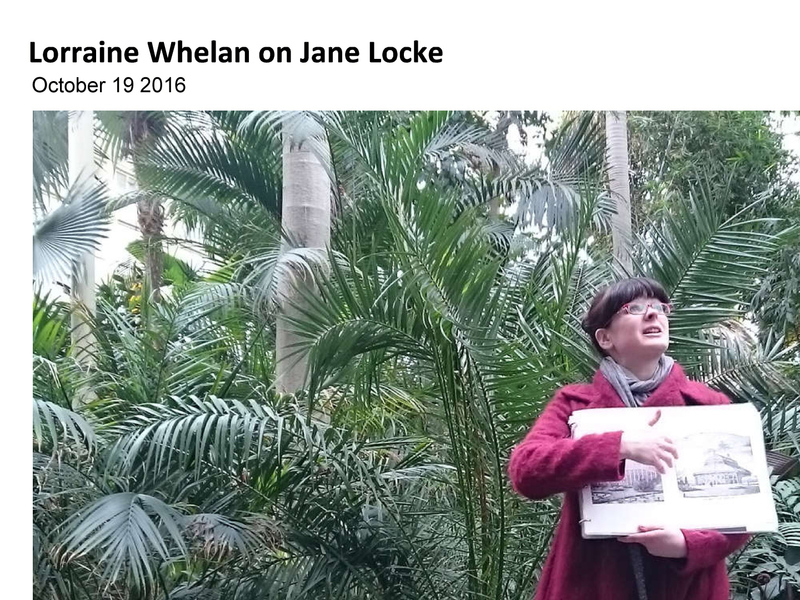 Her work has been published in journals in print and online. 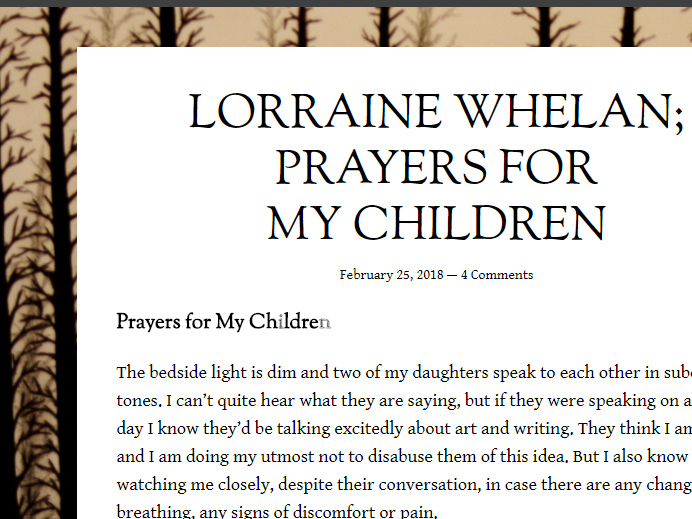 In addition to other social media, Lorraine writes the weekly blog, Culture, Craft & Cooking.